Our purpose is to share hope that people who suffer from addiction and alcoholism can recover, and to link people with the resources that can help them heal. 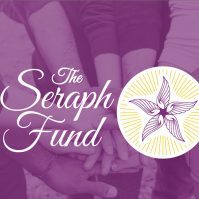 The Seraph Fund presents the 2019 Family Workshop: Addiction is a Family Disease. The Family Workshop is a FREE event designed to help families learn about the disease of addiction, how it impacts the family system, and how to support your loved ones suffering from the disease of addiction. Our hope is that after this restorative and healing one day program, families will leave having built a greater awareness of the disease of addiction, themselves, and how to best support their loved one’s recovery process. Need help with addiction or alcoholism? Want to support our projects or donate? Have a personal story to share? Please contact the Seraph Fund at (919) 884-5686 or send us an e-mail. We would love to hear from you.